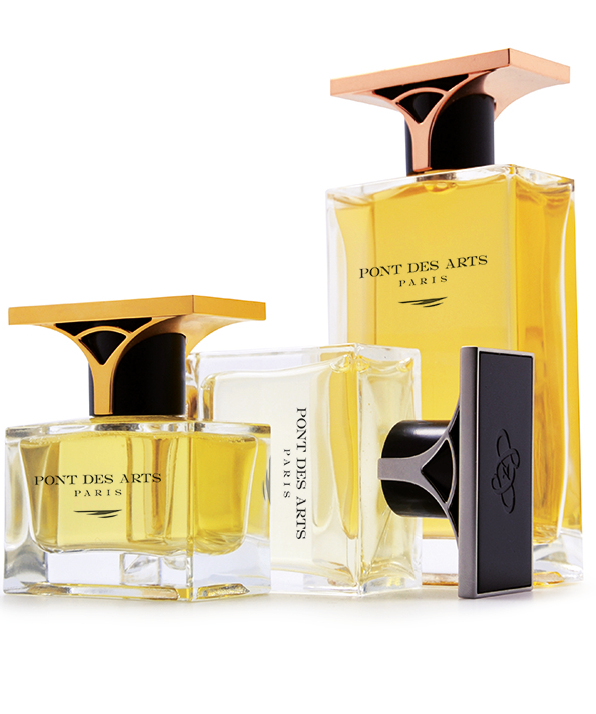 Pont des Arts has decided to launch a limited edition range of designer fragrances aimed at customers who are highly demanding and who share our passion for rare scents and our values of luxury and elegance. Both original and exclusive, these fragrances pay tribute to the grand traditions of French perfumery. 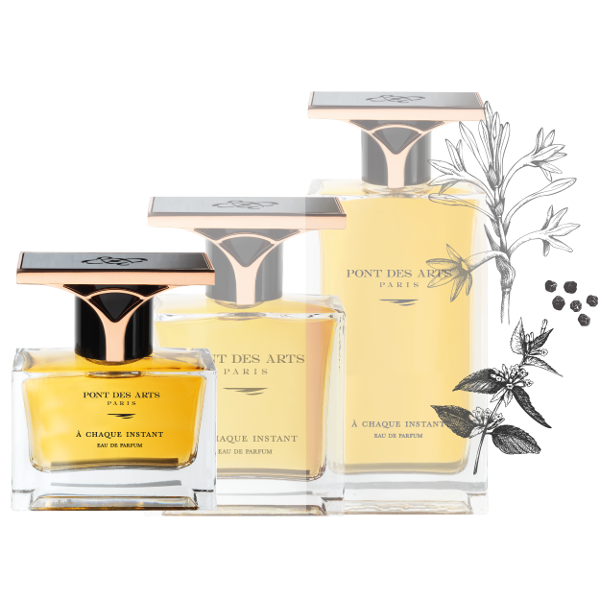 Each of these creations reflects the current trends of the art of perfume-making… but also those of the future, thus providing a subtle blend of modernism and tradition. The finest ingredients have been selected for this range, most of them 100% natural and otherwise extremely rare or even exclusive. 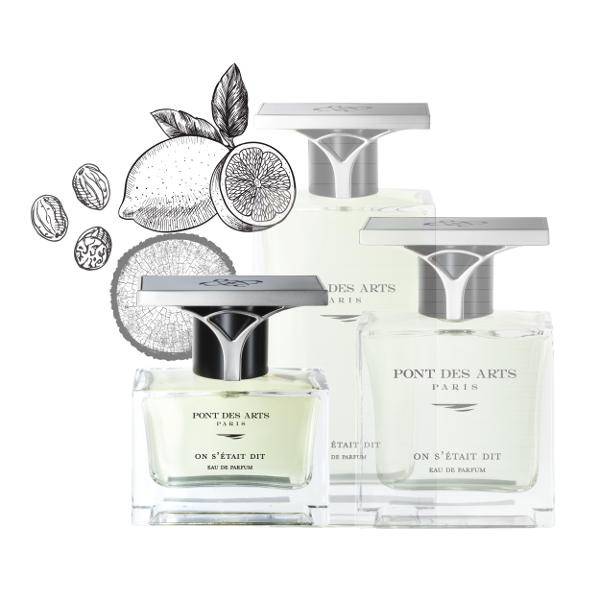 Each fragrance thus provides a blend of several dozen ingredients to create a unique scent. All offer discreet but long-lasting staying power. 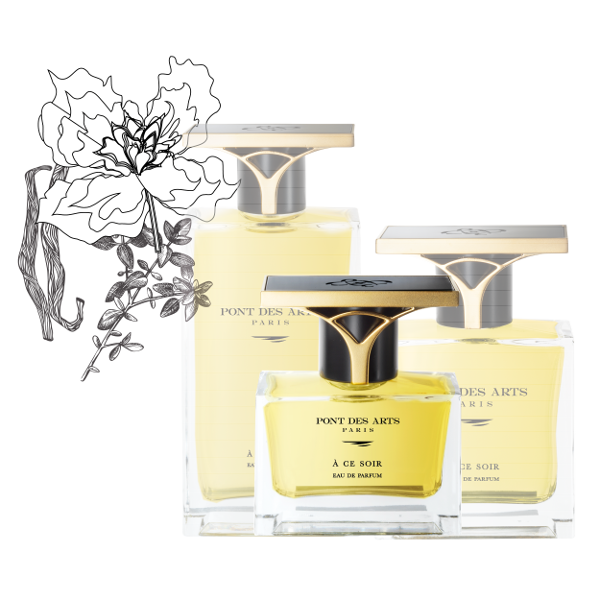 «This fragrance À ce soir is like a ball of gold, first and foremost because of the presence of fairtrade sourced vanilla absolute; golden also because of the presence of balsamic notes such as benzoin, a slight trace of tolu and cinnamon in the top note. The final golden touch, almost amber, is delivered by the presence of a delicately caramelized note. matt gold metallization, manually polished. 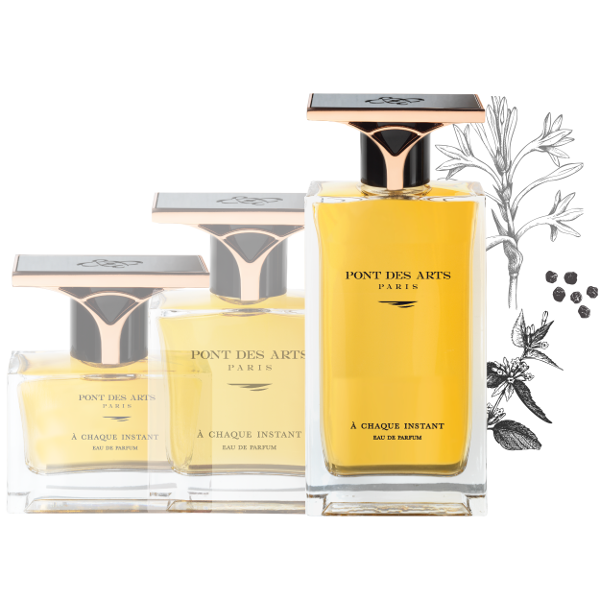 The spicy note of pink pepper, saffron and angelica, present in substantial doses, heightens this sense of duality by intensifying the striking contrasts. bright pink gold metallization, manually polished. «This fragrance On s’était dit is the fruit of a bold choice of ingredients that places a strong focus on sophistication and elegance. The aromatic citrus notes provide a refreshing coolness and a sense of intimacy, while caraway and cardamom offer a resolute, authentic feel. 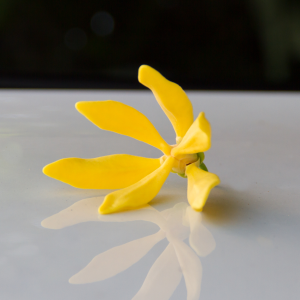 Woody and spicy notes provide character and stunning sensuality. 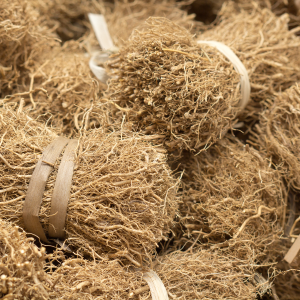 Pepper and carrot seeds are truly exceptional raw materials with a range of facets that are extremely energizing, rich and voluptuous, giving this fragrance added sparkle and a real olfactory identity. 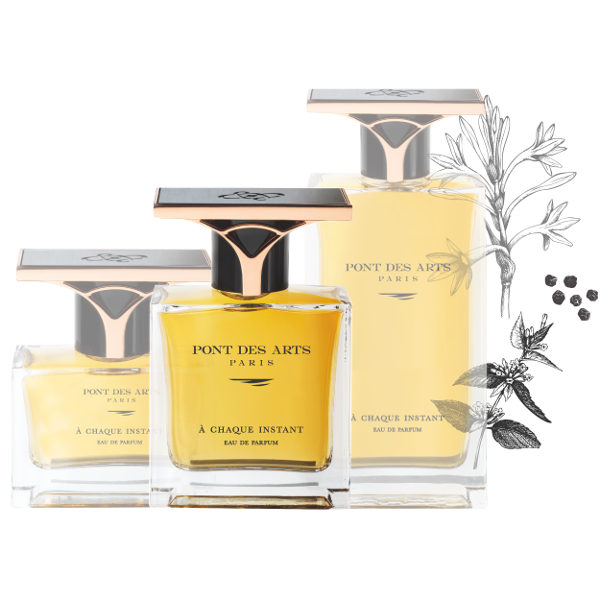 On s’était ditis an audacious and incomparable fragrance, sensual and refined. 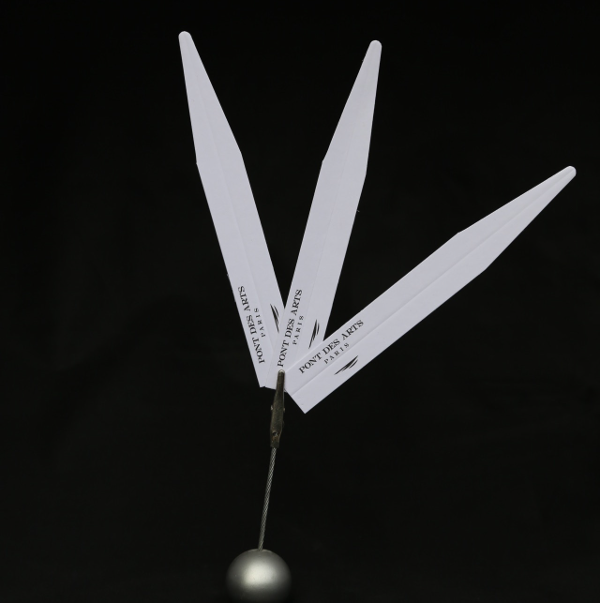 matt nickel metallization, manually polished. 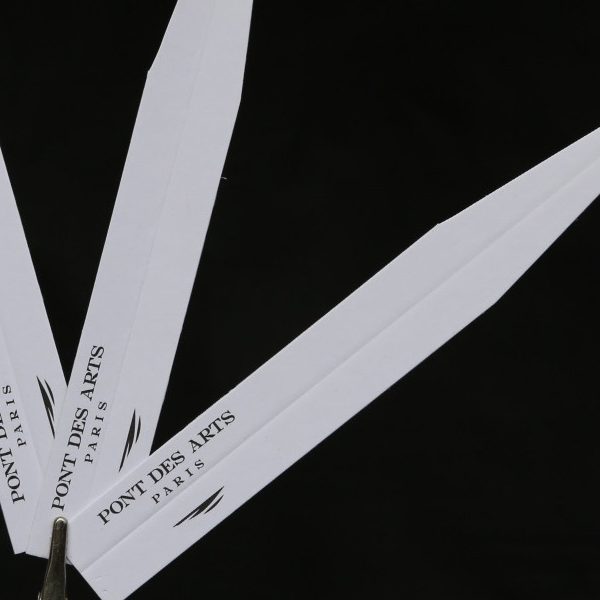 To create these exceptional scents, Pont des Arts first summoned three teams of professional “Noses”, all well-renowned French and international experts in the world of perfumery and fragrance creation, two of whom were ultimately chosen for the launch of our first collection. Taking what some might see as an unusual approach, as well as presenting our range of perfumes we have taken the editorial decision to also introduce you to their creators. 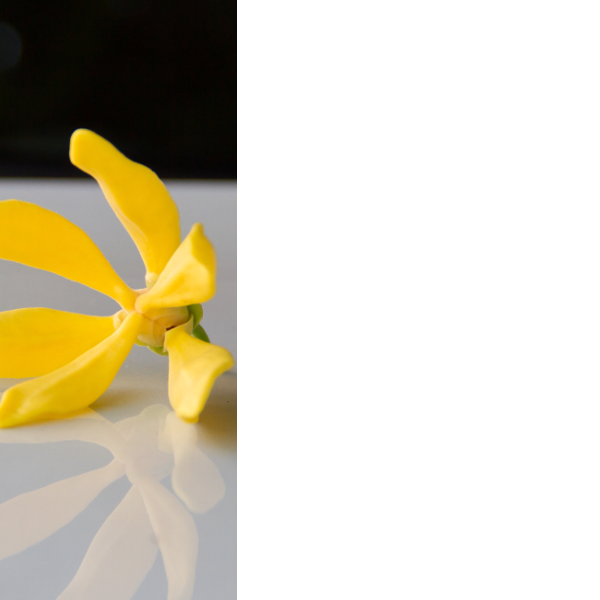 In this way, we believe that you will be able to recognize and appreciate the specialist know-how and the craftwork that has led to the creation of our first range of exclusive scents. Each fragrance is the result of lengthy exchanges during the creative phase, taking into account the needs, expectations and sensory emotions of each and every protagonist, while always retaining a strong joint focus on the key values of quality, originality and exclusivity. A free and independent spirit, Bertrand Duchaufour is a passionate man, always looking to go a step further in terms of innovation. 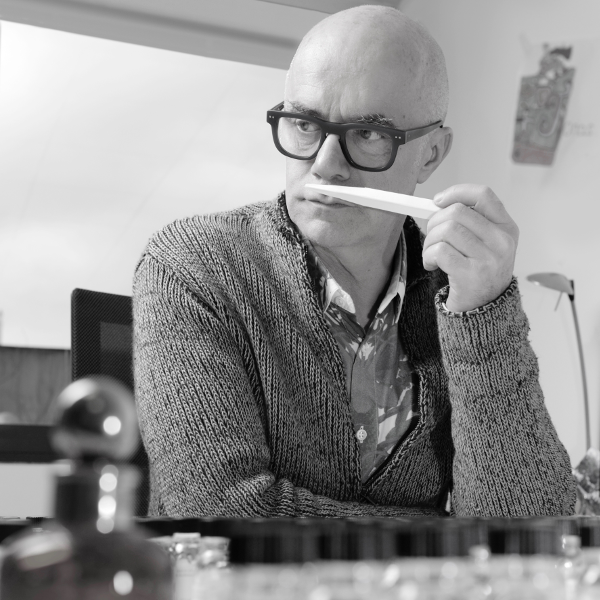 For Bertrand, a fragrance is a genuine artistic creation that must always arouse sensory emotions. He enjoys playing on contrasts and contradictions, his creations thus seeming somewhat paradoxical, constantly seeking to attain an elusive perfect balance. A true artist at heart, Bertrand’s creativity finds expression in several different forms, such as drawing, painting and photography… He draws his inspiration from his travels far and wide, to Bhutan and Yemen, Turkey, India and Africa… His fragrance creations bring the very best out of the high quality materials that he prefers to use, essences such as davana, iris, oud, mimosa and osmanthus, powerful yet simple at the same time. 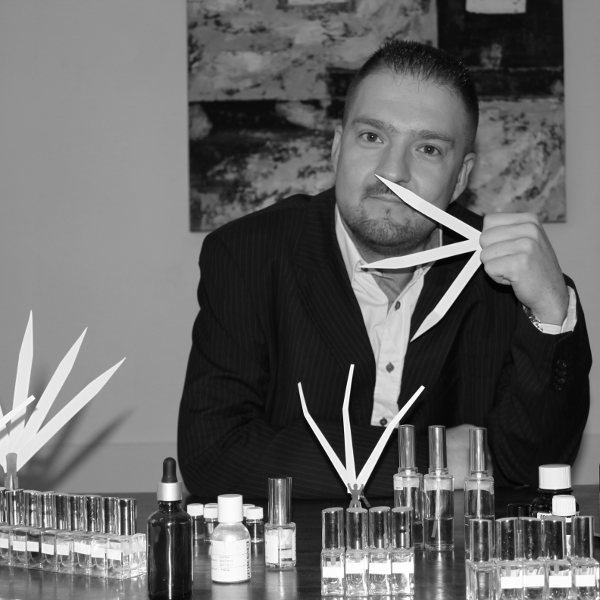 A keen scientist, qualified doctor of biology and health sciences, engineer, professor at the École Supérieure du Parfum, curious about everything to do with plants and flowers, a genuine “botany buff”, Vincent Grandjon has always had a passion for fragrances, scents, aromas, perfumery and cosmetics; a passion that he takes enormous pleasure in sharing with others, passing on what he has learned. He travels the world in search of new high quality ingredients to work with, drawing inspiration from nature, from plant life and from minerals, but also from the different people that he meets, seeking to translate unique sensations and emotions into his fragrant creations.